With the Mazda 3 being the one the best selling cars in Australia we get to fit lots of towbars to them. Mostly this is so that the owners can attach a bike carrier. There are several Hayman Reese towbars applicable to the various body styles and model years of Mazda 3. However, externally they all look very similar as the majority of the hardware is hidden up behind the bumper. Tow bars for Mazda 3s are what is known as a tongue style or standard towbar. 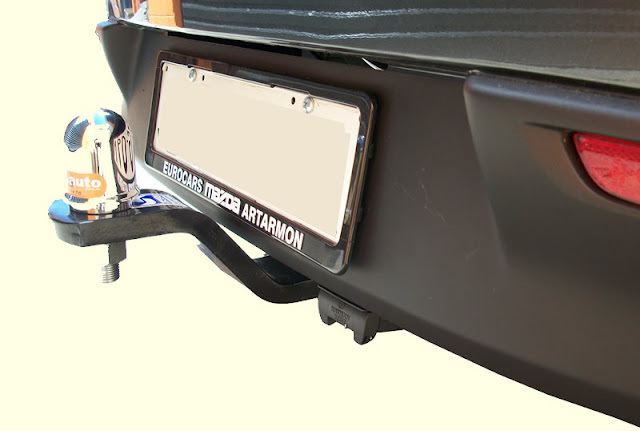 This means that the ball is attached by an 'S' shaped lug to the rest of the towbar. 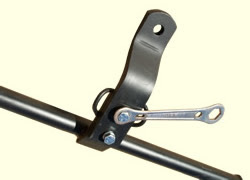 The lug can be removed when not in use by undoing two bolts. This may be necessary on the some models because due to the position of the number plate there is a risk of falling foul of traffic laws by obscuring the vehicles rego. See our tow bar finder for current pricing. You will need to know the month/year of manufacture of your vehicle which will be shown on the VIN plate. There are different bars for hatch, sedan and SP models. If you are in Sydney and want a professional install please give us a call to schedule a fitting.We will need your car for a couple of hours.